Based on audience feedback, we set out to create an app that is simple to use, provides a custom Tabata Songs Music Player, a custom Visual Tabata Timer, and can be used without internet connection. The initial download to get the player and 9 songs songs is $0.99 (one-time payment). With this initial purchase you will have full access to these songs and the music player. To unlock access to our entire music catalogue, which we will continue to add to, the cost is $4.99/Year or $0.99/month. I already listen to Tabata Songs on Spotify. Why should I use the app? If Spotify, Apple Music, Deezer or any other music platforms work for you, that’s great! We appreciate you listening! Our music will stay on all of those platforms for your enjoyment. Though we will continue to add new music to those platforms, we plan to release far more music on the app in addition to adding specific audio coach workouts. Currently there are 4 songs on the Tabata Songs App that cannot be streamed anywhere online. Do I have to be connected to the internet to listen to the songs? NO! Take it on your travels, or unplug from the world by switching to Airplane Mode. Your songs will be there! 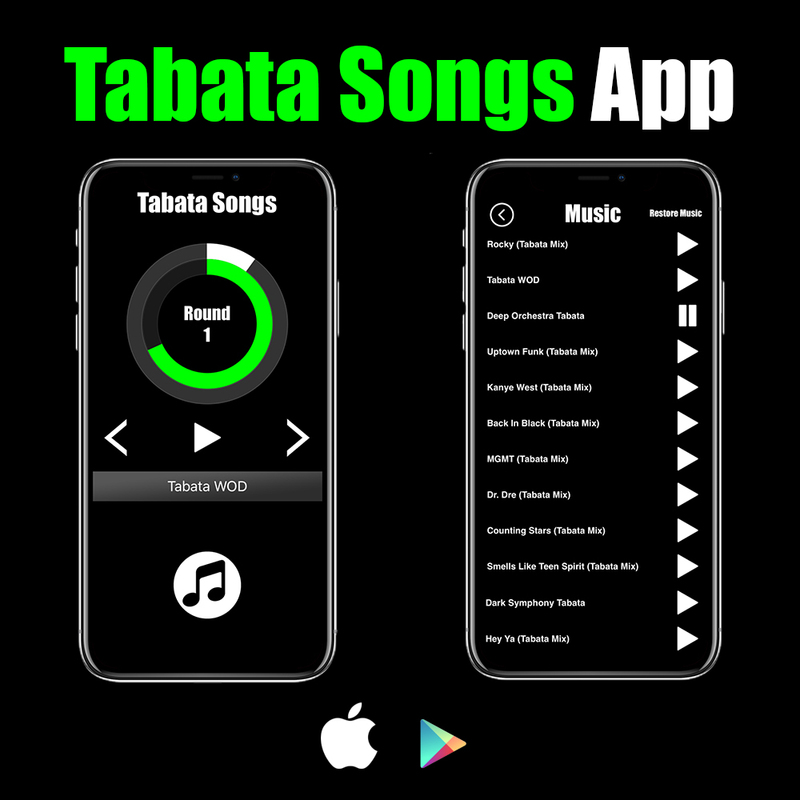 For more information check out the Tabata Songs App on the Apple App Store. +45 Songs with yearly or monthly subscription (More songs will be added regularly).